The ACR Neo 3F is very similar to the 1F. It has the same flexibility in the installation and the type of fuel you burn. 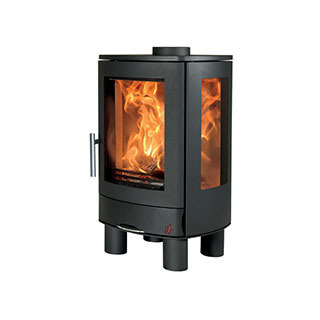 It can be installed into a fireplace or can just be left free standing. Both ways look equally as beautiful but create a completely different look. In regards to the fuel you burn, you can choose between wood and any other smokeless fuel. This stove is DEFRA approved so whether you live in a rural village or the heart of the city, you can enjoy the feel of a real roaring fire. There is nothing worse than having dirty glass while trying to enjoy the outstanding dancing flames. To help prevent this, the Neo 3F has the modern technology of the Airwash system that keeps the viewing glass clean and clear.